The ride, though in this guise surrounded by all sorts of Adventure paraphernalia, is equally unintimidating and effective yet with enough poise to please. 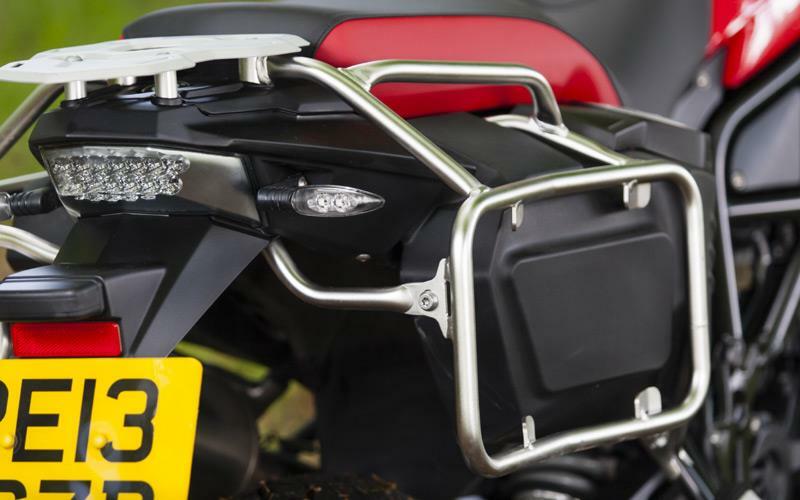 While inevitably a touch tall and squishy, like any off-roader, with the benefit of ESA and firmed-up front and rear damping in ‘Sport’ mode via a couple of dabs of a button, the 800A steers as sharp and yet stays as stable as any trailie has a right to. 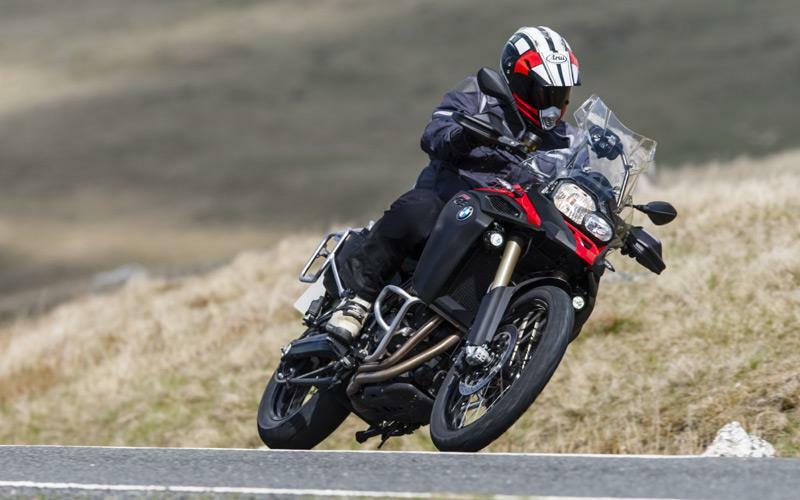 The basic parallel twin motor and rolling chassis are unchanged from the standard F800GS (which itself has been updated for 2013), being a proven 85bhp @ 7500rpm, and 61ft-lb @ 5750rpm balance-shaft equipped unit. 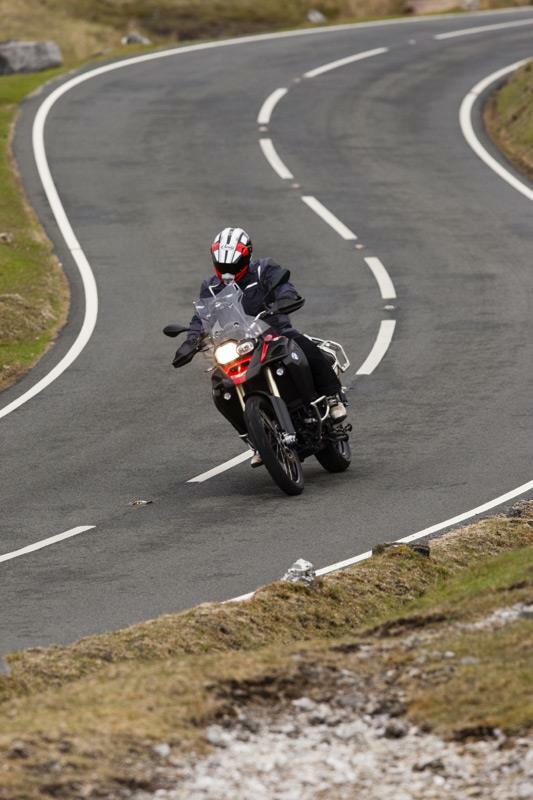 The thrummy, useful, parallel twin is exactly as remembered from other models – flexible, practical, with a fat, effective midrange and yet enough curdly character and top end vim to entertain.  There’s nothing intimidating or wanting here. 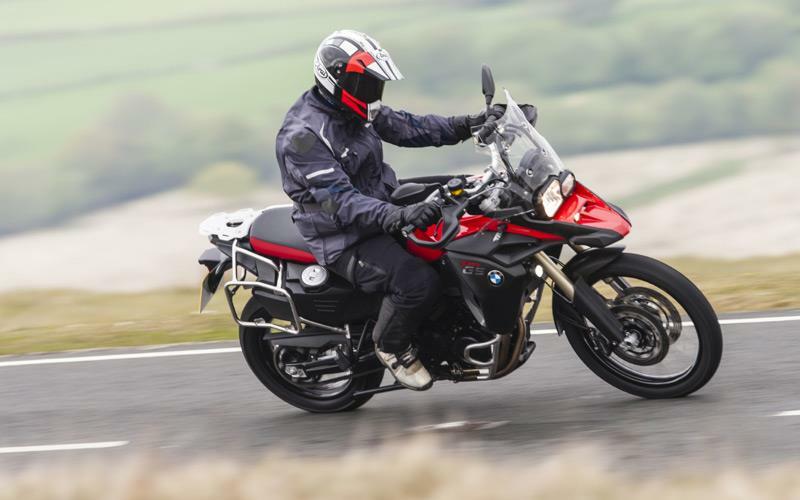 Difficult to be too judgemental at this stage, but on first impressions, quality seems up to the usual, high BMW standard while in terms of reliability, with the engine and chassis being unchanged, proven 800GS items, there seems little reason to worry. 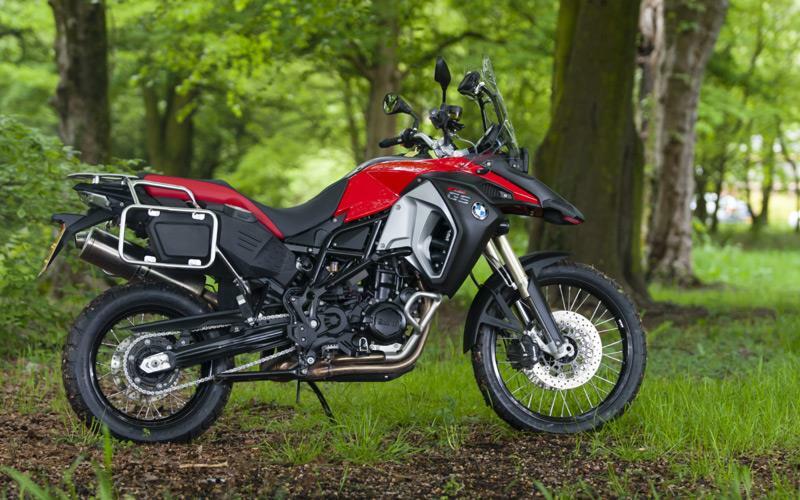 Just shy of £10K for the basic version isn’t exactly cheap, but does offer an entry into the true ‘Adventure’ segment for a full £3K less than its 1200cc bigger brother. 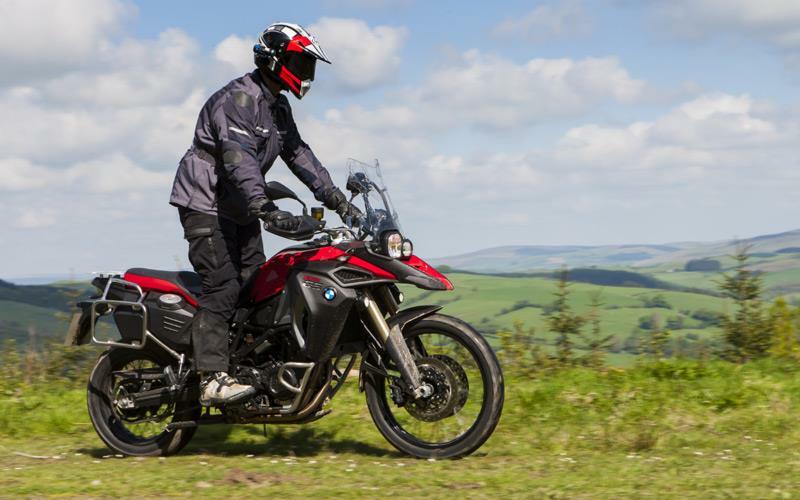 The one to go for, though, is the Travel Pack which is bristling with all the adventure style goodies you’d expect – for nearly £2K less than even a basic 1200. The 1200 Adventure always gave the impression (usually through optional factory extras, admittedly) of being blinged up with goodies and, to be credible, the 800 simply had to do the same. 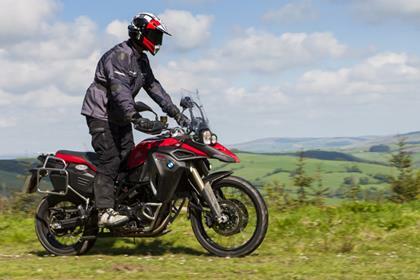 BMW has achieved that by cleverly offering the 800A in two specifications – the standard, basic if you like, £9650 Enduro and the posher £10,535 ‘Travel Edition’, which comes with ASC traction control (including Enduro mode), heated grips, LED riding lights, on-board computer, centre stand and optional of-road tyres. 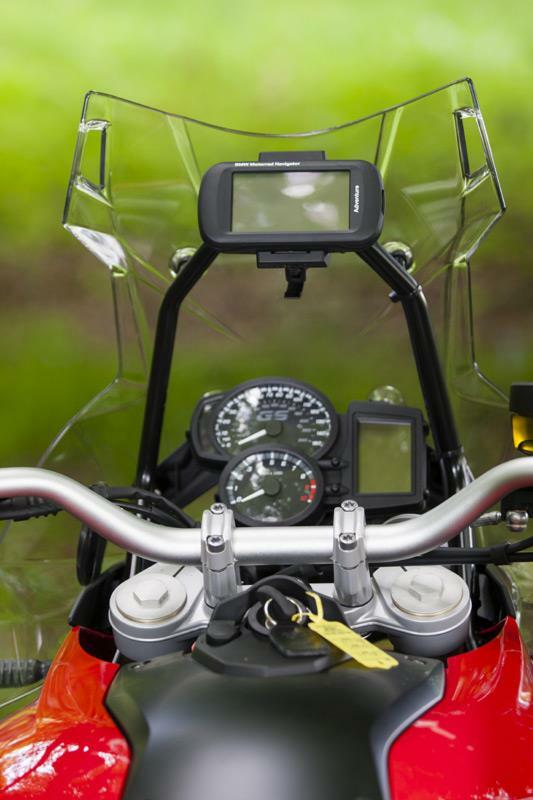 ‘Travel Edition’ which comes with ASC traction control (including Enduro mode), heated grips, LED riding lights, on-board computer, centre stand and optional of-road tyres. 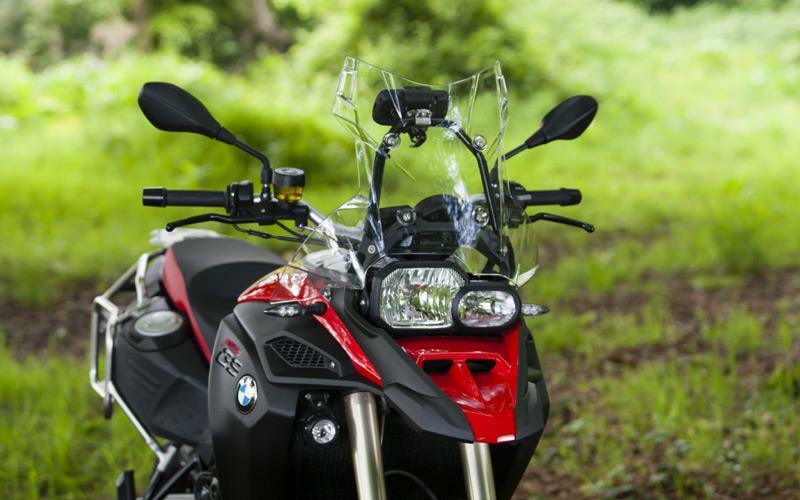 No owners have yet reviewed the BMW F800GS ADVENTURE (2013-on).